A conceptual image of the park proposed on the Zidell property, underneath the Ross Island Bridge. 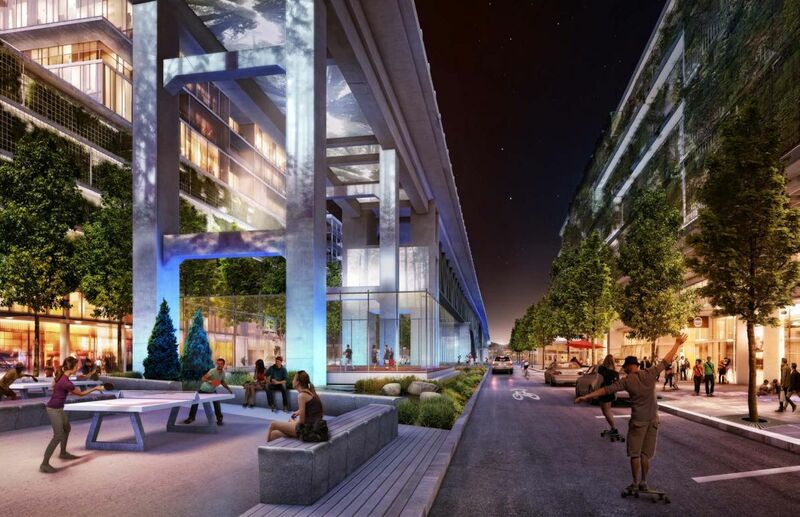 An update on plans for the Zidell Yards was recently given to the Design Commission. Despite hiccups, Zidell Marine launched their last ever barge on Friday, according to the Oregonian. The company is now looking ahead to the redevelopment of their site. OPB reported on how the recently passed Portland Public Schools bond, the largest in state history, faces labor and logistical challenges. 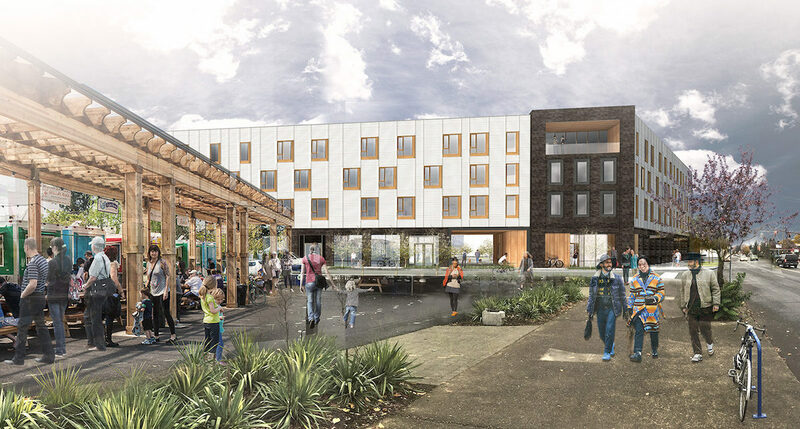 Portland Architecture spoke to Allied Works principal Chelsea Grassinger about plans for the Providence Park Expansion. The Portland Business Journal reported on construction progress at the 9North office building (previously known as Station Place Lot 5). City Observatory asked whether historic preservation is NIMBYism for the rich. At the 72 Foster affordable housing development REACH CDC and Housing Development Center will partner with the Asian Health & Services Center to provide resident services, including community gatherings, cultural and social events, and health promotion and wellness activities. 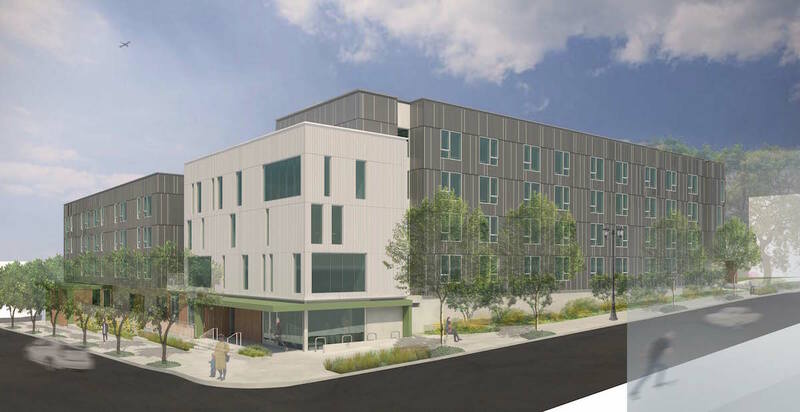 Design hearing – project consists of two seven story mixed use buildings, each building consisting of approximately 4,000 sf of retail, 200-300 market rate apartments and 150-200 off street parking stalls in one level of structured underground parking and a partial level of structures at-grade parking. 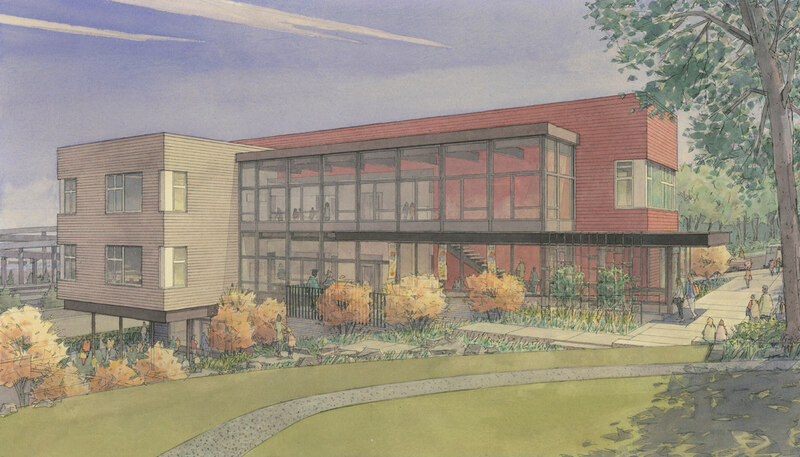 DESIGN HEARING – Discuss the renovation of Neuberger Hall on the PSU Campus. The scope of work includes updating accessibility, fire, life, safety upgrades , deferred maintanence and façade improvements. (See separate PC 17-115464 for associated PC for temporary modulars). Proposal is to demolish existing 1/4 block building and replace with a new construction 215 room, 15 floor hotel. Approximate new construction square footage will be 136,000sf. Building height will be approximately 153′. Ecoroof and flow-thru planter placed at the 3rd floor level on roof deck to handle total roof area stormwater. Remaining portion of roof deck at 3rd level will be applied for exemption thru special circumstances. Scope of work includes removal of existing convenience store, fuel canopy, fuel dispenser islands and restaurant. Construction of a new convenience store, fuel canopy and 4 fuel dispenser islands, landscaping, curbs and paving. Existing underground storage tanks to remain. Proposal is for a new Lexus dealership. 2-story building with one level of below-grade structure. Ground floor uses will include an automotive showroom and leasable retail with structured parking on the second and third levels, and an automotive service shop on the lower level. Vehicular access is proposed off NE 31st Avenue in two locations, approximately the same as the existing access points from this street. Access from NE Sandy Blvd is not proposed for the new building. New construction of a 3-story self-storage building with associated parking, utilities, and landscape. A new three story classroom building at the International School is scheduled to go before the Design Commission on Thursday. 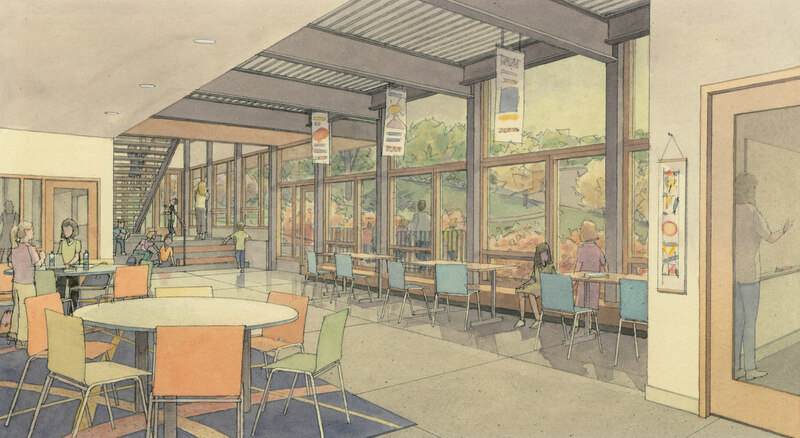 The 15,000 sq ft building will be the school’s first permanent new construction building, and will include ten classrooms as well as supporting spaces. The design of the building is by Malum Architects and the landscaping by Place Studio. An expansion of The International School is proposed, according to a Notice of a Pre-Application Conference [PDF] posted on the City website. The independent elementary school located at 025 SW Sherman Street provides Chinese, Spanish and Japanese language immersion.